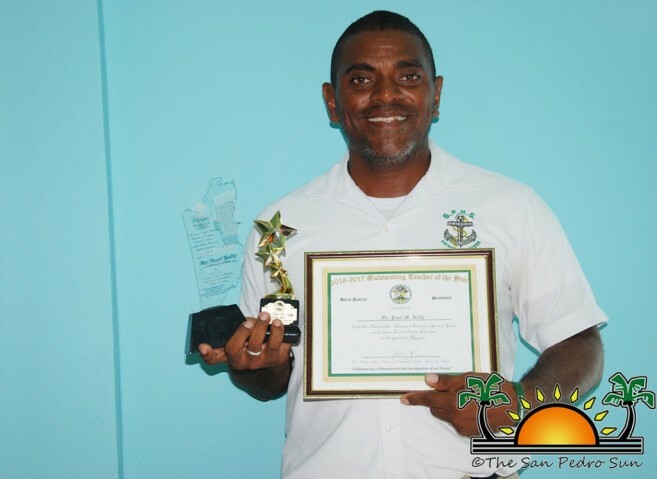 Teacher Kelly was selected for not only his excellence within the classroom, but also his dedication outside of school. He teaches science to second year students, is the sports coordinator, and is the director of the San Pedro Junior College. With his hands more than full, Teacher Kelly ensures that his efforts are not in vain. Kelly is humbly grateful. “It is bittersweet because there are so many teachers I work with that I believe are far better than I am. So these great teachers should be acknowledged, and are sometimes not. But I am winning for the entire SPHS. This year has been a golden year for SPHS, especially us winning four national championships. I am humble and thankful because if our teachers weren’t doing something right, we at SPHS would have never been noticed,” said Kelly. On Monday, May 15th, Kelly’s wife, Odilia Jacobs, Assistant District Education Officer, also accomplished an academic milestone. 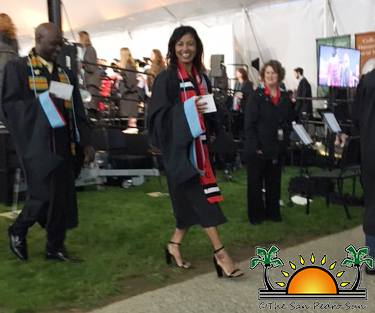 After completing two semesters at Bridgewater State University in Massachusetts, United States, she graduated with 3.94 GPA, and received a Master’s Degree in Early Childhood Education. Despite being away from her beloved family for a long time, Mrs. Jacobs worked hard and applied herself fully to obtain her degree. She was especially thankful that her husband and daughter were able to join her for the grand moment. The San Pedro Sun congratulates Mr. Kelly and Mrs. Jacobs for their inspiring achievements.